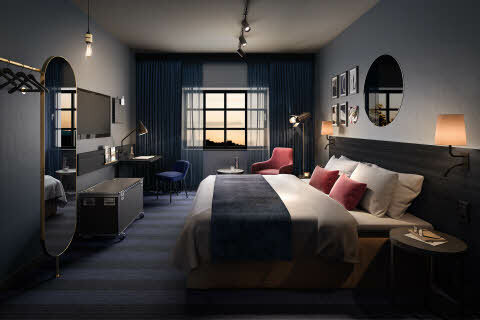 Welcome to Scandic’s new hotels in Denmark. Scandic is the leading hotel chain in the Nordics and we are constantly launching exciting new projects. 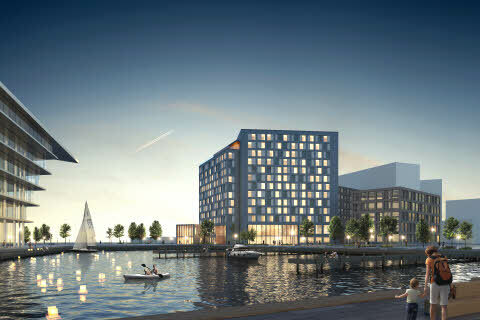 We have 5 new, large hotels under construction in Copenhagen and Aarhus. 15 August 2019, we invite you to come and enjoy Scandic Falkoner, where, after a dramatic refurbishment, we open the doors to a magnificent star-studded experience. In February 2021, enjoy visiting a great city resort hotel next to Copenhagen international airport, the sea and beach. In August 2021, we'll be able to welcome you to our chain’s largest hotel in Copenhagen, Scandic Spectrum. And in 2022, you'll experience a one-of-a-kind architectural experience designed by Bjarke Ingels at the harbour in Aarhus. A brand new scene welcomes you when you check in to Scandic Falkoner. 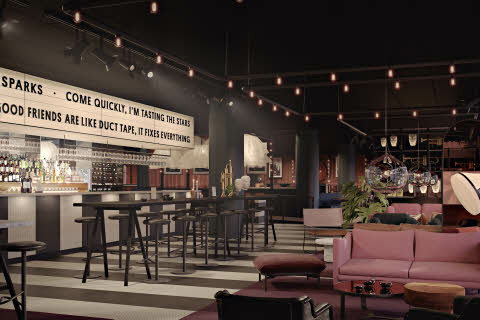 Scandic has taken over Radisson Blu in Frederiksberg and is opening the doors to a newly renovated and even bigger hotel and conference centre which will cast new light on the town. The new Scandic Falkoner has undergone extensive transformation and modernisation, paying particular attention to the area's rich theatre history. It will feature international stars, concerts, shows, musicals and events of all shapes and sizes. Sleep like a true star at Scandic Falkoner. Our hotel has been expanded and now offers 332 rooms, each with a view of the stars. The atmosphere at Scandic Falkoner is unique and can't be missed in our restaurant, where our food deserves the biggest praise. Enjoy a theatre menu before you head to the stage, or taste your way through our extensive menu. Our meeting facilities are large and flexible. Our 2 historic Falkoner halls have been fully renovated and can be quickly tailored to suit individual events. Lights, sound and acoustics are all new and an experience in themselves. There’s not just space for the starry-eyed at Scandic Falkoner. If you're dreaming of a career, maybe you’re the person we need for our team. Read more about jobs at Scandic Falkoner here. We are opening a new Scandic hotel right near Copenhagen Airport in 2020 - located no more than 600 metres from the airport and less than 10 metres from the water. Our hotel will have its own harbour and is located a short distance from Amager Strandpark, Den Blå Planet national aquarium and a wonderful marina. Our new hotel by the airport will cover more than 24,000 sqm with over 357 rooms, a large conference department, underground car park, restaurants, skybar and a large wellness area with views of the water. You can swim in our pool, work out in our gym or visit our sauna. Want to be part of our team at the new Scandic hotel near Copenhagen Airport? Our new, large hotel next to the airport will need plenty of new team members. Read more here. 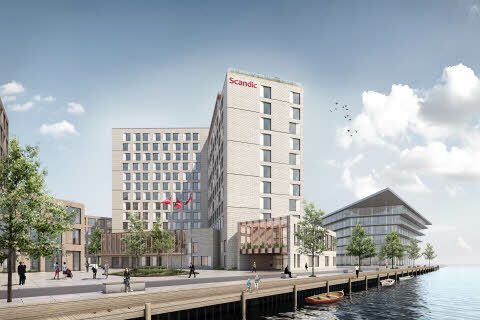 When we open the doors to Scandic Spectrum in 2021, it will become Scandic’s largest hotel to date - and that includes all of Northern Europe! Our hotel at Kalvebod Brygge will boast 632 rooms, several restaurants and an innovative meeting and conference department. 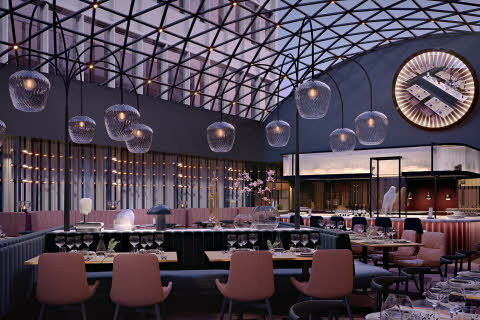 Scandic Spectrum will feature a skybar with views of Copenhagen city and the green oases of our atriums, which create relaxation spots in the sun or shade. 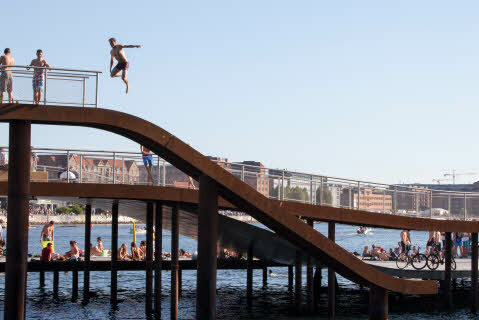 Our hotel will also feature a 25 metre swimming pool, just in case you’re not in the mood for a swim at Kalvebod Wave - Copenhagen’s harbour pools - located not far from our hotel. Do you want to join the team at Scandic’s largest hotel? We are looking for receptionists, team members for housekeeping, kitchen and much, much more. Read more about recruitment for Scandic Spectrum here. Bjarke Ingels and his architecture firm BIG, are the designers behind Scandic’s new hotel in Aarhus, currently known as Scandic Aarhus Ø. 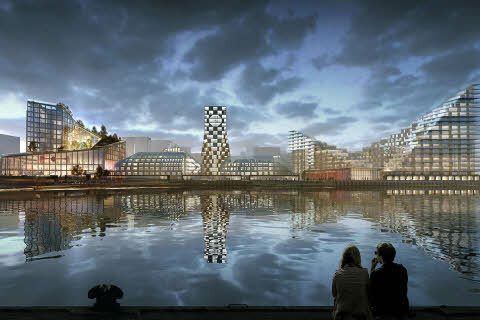 The project is being developed together with city developers Rune Kilden and Anders Holch Povlsen. 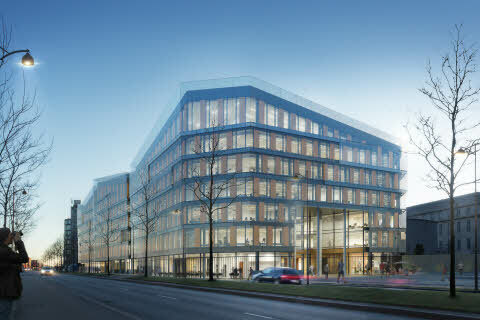 Our completely new hotel and conference centre will be housed within the Aarhus Ø. 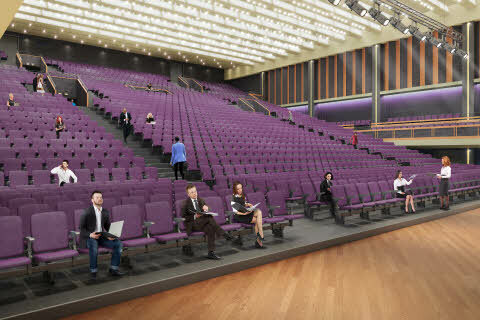 When the hotel is finished it will offer about 500 rooms, space for 2,000 conference guests and 3,500 concertgoers. 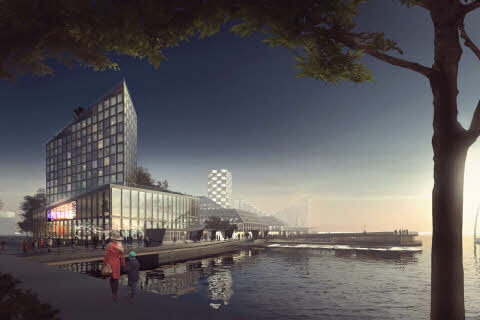 With its unique architecture, our hotel will become an essential part of the urban, diverse and active city life created by the overall project at Aarhus Ø Bassin 7. Our hotel is designed as a spiral - a structure that revolves around itself - and invites visitors to the top of our hotel for unique views of the harbour and city centre. Our hotel will also offer a public courtyard with beautiful views. We're looking for plenty of new, dedicated team members for our spectacular new hotel, Scandic Aarhus Ø. Want to help provide a world-class hotel experience to hotel guests from all over the world? Read more about jobs at Scandic Aarhus Ø here.